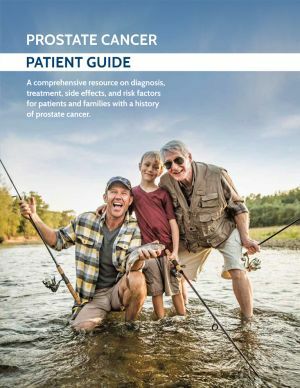 The Prostate Cancer Patient Guide, compiled with the contributions of top-tier doctors and researchers in prostate cancer, is a must-have resource for prostate cancer patients. It focuses all of the information available about contemporary prostate cancer research, treatment, and lifestyle factors into one consolidated document. Order postcards and/or patient guides using this online form or this PDF.